Right before our wedding, Mr. Cooper and I flew to Dallas to hunt for an apartment and shop for furniture. Having never shopped at Ikea, it was one of the places we chanced in our quest for new home furnishings. 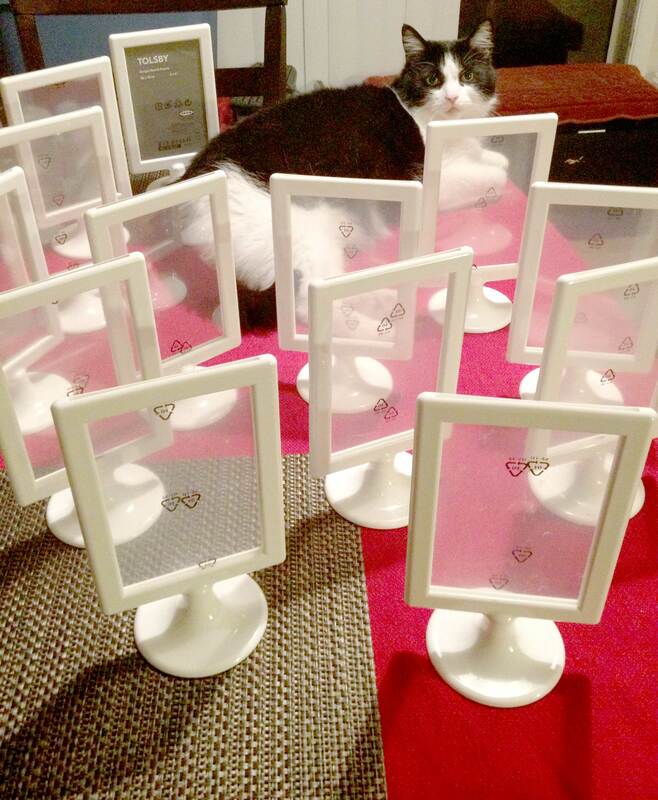 Instead of finding furniture, I happened upon the perfect wedding reception idea for our table numbers. 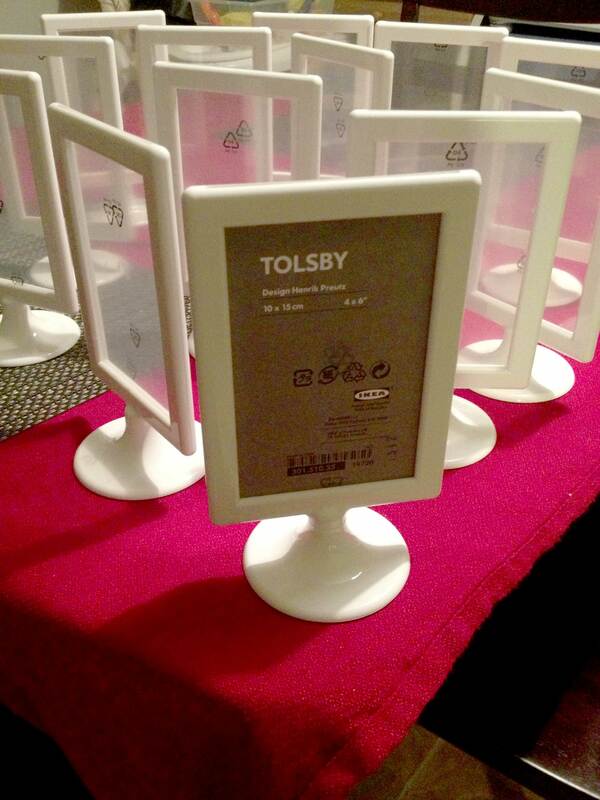 These wonderfully inexpensive Tolsby double sided picture frames were only 99 cents a piece. We needed 13 of them, and they were light weight enough to stuff into our carry on bags for the flight home. 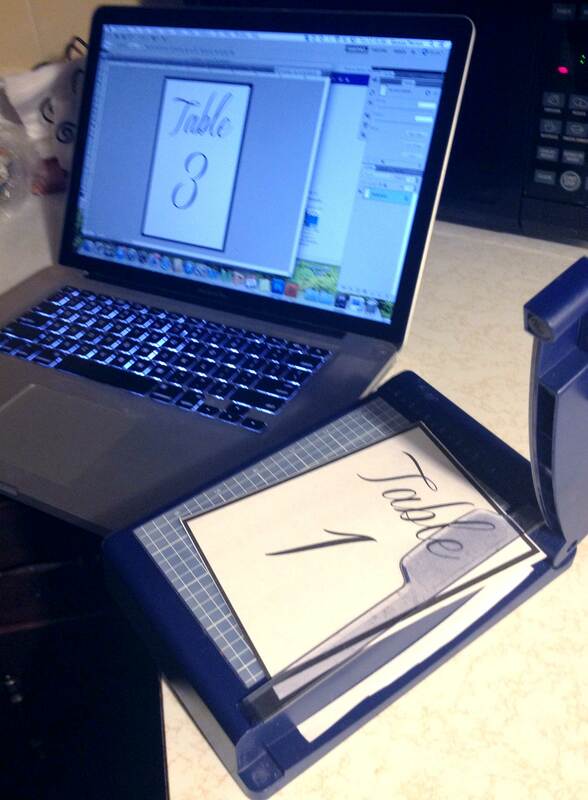 I created my table number side using Adobe Photoshop in 6×4 sized photo frame, printed them at home, and cut them to fit the frame. I also coordinated the fonts with the seating chart as well. On the other side, I inserted 13 of our favorite engagement session pictures by Lucky Heart Photography. Perfection. Interesting facts about the guests at the table. After the wedding, we gave some of these away as gifts to our family members. 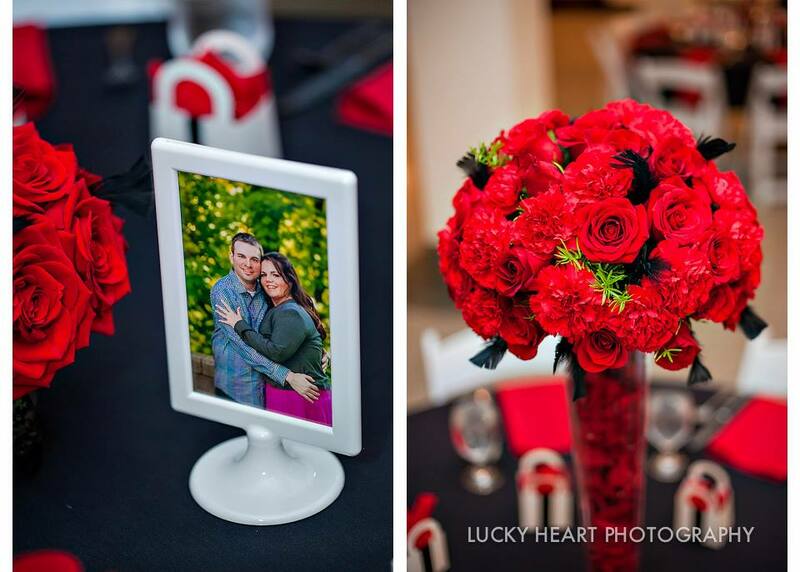 This Ikea hack was super easy and very wedding budget friendly.